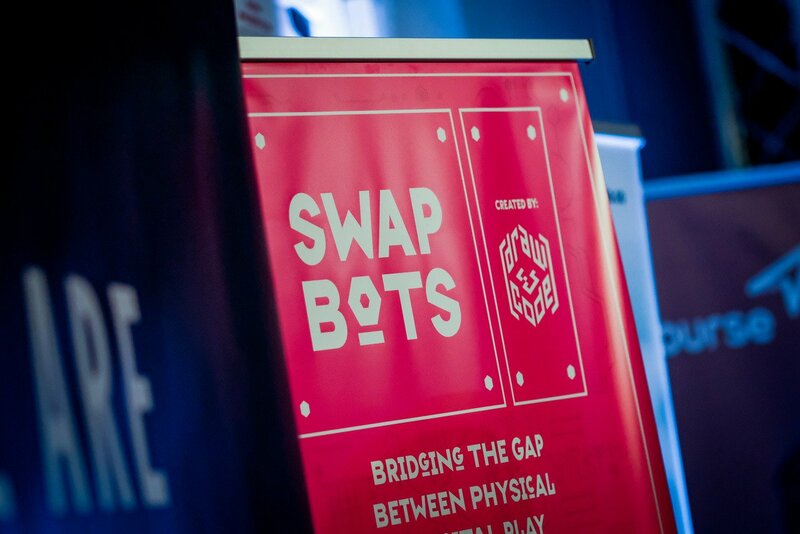 "CES, Toy Fair NYC, GDC, SXSW, TNW – where to find SwapBots in 2017"
It’s been an incredible year 2016 has been for SwapBots – in 2017 things will be even more exciting. This is how our schedule looks in the new year with an exhibition stand at CES as part of HAX Boost’s 2017 alumni kicking off a busy season of touring the best tech shows in the world. Meanwhile you can see video of SwapBots at TechCrunch Disrupt here. This was our final exhibition of 2016 and it was a superb event with some brilliant speakers and young, vibrant companies cramming Startup Alley. SwapBots were attending as one of the winners of the Northern Stars award that highlights promising UK startups. Remember, if you would like to be first in line to receive the SwapBots toy and game then please sign up at www.swapbots.co – if not see you in 2017!